Throughout his school years JP drummed with various school bands and more formally with the school brass band in which he represented his school’s district and won many awards. When called up for military service JP was selected for the Entertainment unit and after his service he joined the Cape Town Highlanders where his drumming skills expanded to pipe band drumming in the form of bass, tenor and side drumming. He also tutored junior drummers and has since played in New Zealand with Hamilton Caledonian and Auckland and District Pipe Bands. JP furthered his rock and pop music experiences with the Jamrock School of Music in Cape Town where attained his Trinity Grade 8 Rockschool Certification in Drums with Distinction. Upon arrival in New Zealand in 2008, JP became a sought after drummer at the Hamilton Blues Club and was soon asked to drum with the Hamilton Big Band which further expanded his skills to jazz and swing drumming. 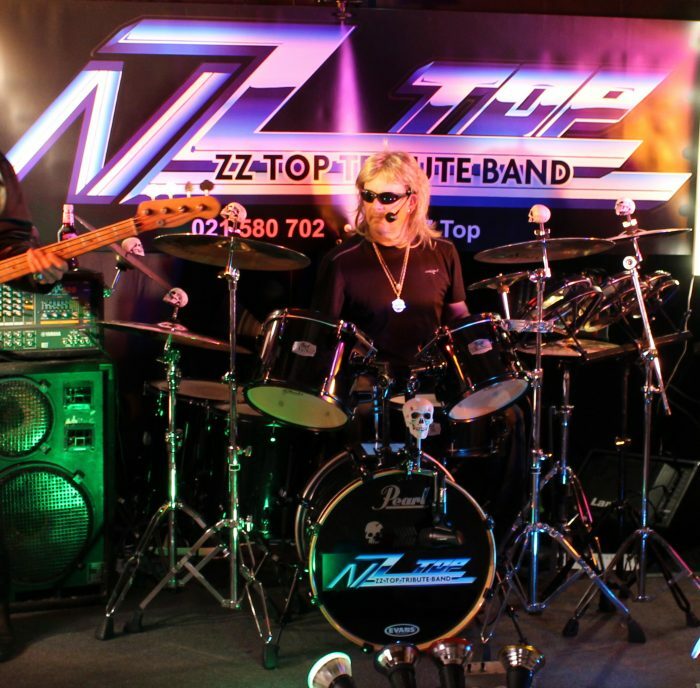 Having relocated to Auckland, JP has formed his own entertainment business and is currently playing in a ZZ Top tribute band, called NZ Top, in which he drums and sings. He has recently been teaching at the Music Education Centre, where he specialises in teaching the Rockschool Drum Program which is Internationally recognised. His most senior student recently passed Grade 8 with Distinction. JP believes that discipline, practice and proper technique form a vital foundation to a successful and enjoyable drumming career, as well as having fun. He is eager to pass on his learning and experience to future drummers and continue to learn himself in the process. He will soon be opening a drum school in Gulf Harbour and is looking for new students in the area from April 2019 onwards.